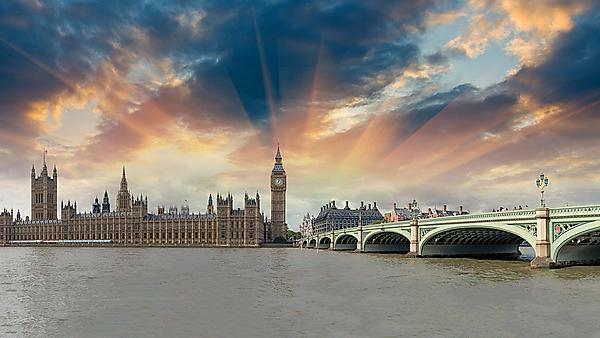 Two of the UK’s leading political researchers have been commissioned by a consortium of media organisations to create a new benchmark for reporting on election results in the run up to the 2020 general election. The consortium comprising BBC News, ITV News, Sky News and the Press Association has commissioned Professors Colin Rallings and Michael Thrasher, from the Elections Centre at Plymouth University, in response to the 2018 Review of Westminster constituency boundaries which proposes to reduce the number of constituencies from 650 to 600. The academics will calculate a set of detailed ‘official’ notional results designed to show how the new parliamentary constituencies might have behaved if they had been in place at the 2015 general election. The consortium says it is essential for public credibility that the same figures are used by all media outlets, and the data will set a standard for calculating critical measures like ‘swing to win’ and the rank ordering of target seats. It will also provide a framework for describing the direction of ‘gains’ and ‘losses’, identifying marginal seats with certainty, and producing maps to show the electoral battleground. At the end of the process, the definitive set of ‘official’ notional 2015 results will form the basis of reporting and coverage in the run up to the 2020 general election by all the members of the media consortium and their clients. Rallings and Thrasher – who successfully produced the estimates used prior to the 1997 and 2010 general elections – use a formula based on their unique ward level local election database. These figures are supported by ‘neighbourhood’ data from the Office of National Statistics in order to undertake the detailed calculations required to identify the partisan consequences of boundary changes. The release of Rallings and Thrasher’s ‘official’ notional results for the 2015 election will follow the final recommendations of all four of the UK’s Parliamentary Boundary Commissions on new constituencies, expected in September 2018. From Autumn 2016, the individual Boundary Commissions will publish their provisional recommendations for the new constituencies, each of which will be followed by an extensive consultation and review process, and a revision of the provisional proposals. Once any of the four Commissions release their revisions, Professors Rallings and Thrasher will produce, within 24 hours, an estimate of the ‘notional’ seats won by each party in each country in 2015, together with an analysis of how they might differ from the actual outcome at that general election. These calculations will then inform commentary (including discussion of individual seats), but any precise figures will retain ‘draft’ status pending a consultation with the political parties as well as selected academics and journalists. During the interim consultation and review period, Rallings and Thrasher will not comment on the impact of the boundary changes in other than very general terms. Once the final consultation is complete and it is clear that the various Commissions will not be making further revisions, a single, definitive set of ‘official’ notional results for the 2015 general election will be released. How do politics of the past affect today? Explore wider political systems and start to find out. You’ll study the political, social, economic, artistic, intellectual and cultural history of past societies, from the fifteenth century to the present day. You’ll also debate political processes and systems and learn to identify political issues and events.